Selected Poems (1st Edition) by Brenda Elizabeth Rose is a handful of enchanting and poignant poems, 45 in all. 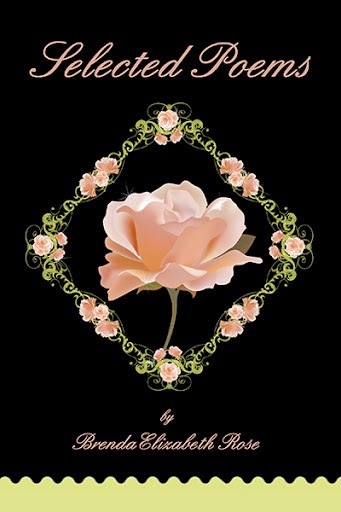 Each poem describes a certain theme - life, loss, God’s gift, love, hope, faith, admiration of nature or friends, originating from a long life by Miss Rose who has chosen to write out her legacy and thoughts in these short poems. Readers will find her poems thoughtful, reminiscent and beautiful. One can inspire, one poem can change your mind or just lift you up for the day - many speak of God, His love and His nature. Eloquently laid out, this culmination of poems is done in style with handwriting and makes an excellent gift or coffee table book. Recommended for easy reading and daily devotional time, this book of selected poems offers grace and light to each day. You will be refreshed and thoroughly blessed. ~ Be sure to get your copy of Selected Poems at Amazon. Pick up an extra copy for someone special.